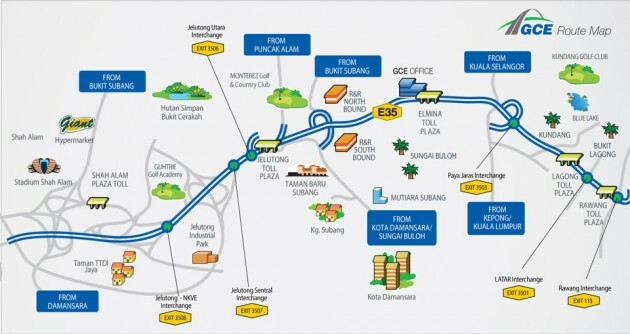 Here’s another one to pile on the Monday Blues – toll rates for the Guthrie Corridor Expressway (GCE) will be increased this October 15, Berita Harian reports. Come Thursday, Class 1 motorists will be required to pay RM1.90 at the Lagong, Elmina and Bukit Jelutong toll plazas – an increase of RM0.50 across all three plazas. On the other hand, Class 2 motorists will have to fork out RM3.80 at the same three plazas – the previous rate was RM2.80. Additionally, Class 3 motorists will be required to cough up RM5.70 at all three plazas. Taxis will be required to pay RM0.90 while buses, RM1.40. Separately, an increase for toll rates for the LATAR Expressway, Karak Expressway, DUKE Highway and SMART tunnel have also been announced. Like the changes mentioned here, all hikes are due to be implemented on October 15. Yes, be grateful. We live in a safe and beautiful country. We have a stable and kind Government. Don’t complain and be thankful. Syukurlah! This is when People are not confident toward the current economy yet leader wont care a sheat abt people but still hold on to the buring boat everyone elses been sitting on..their correct Action is to push people near the fire to protect themself but not trying to put out fire. Malaysian will suffer with overpowered-extreme-religioned gov.